to get the medical treatment they desperately need. 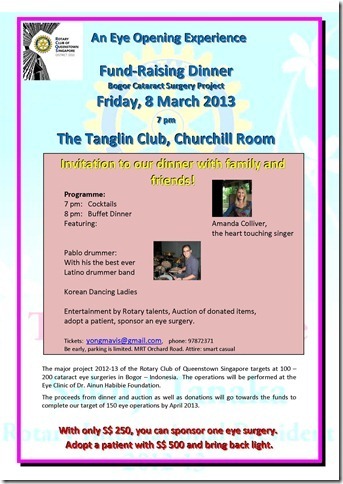 We have an exciting program with music and dance, as well as auction of valuable items. Rotarians from our sister clubs RC Malacca and Kuching Central together with a delegation from RC Bogor/Indonesia will also join the event.